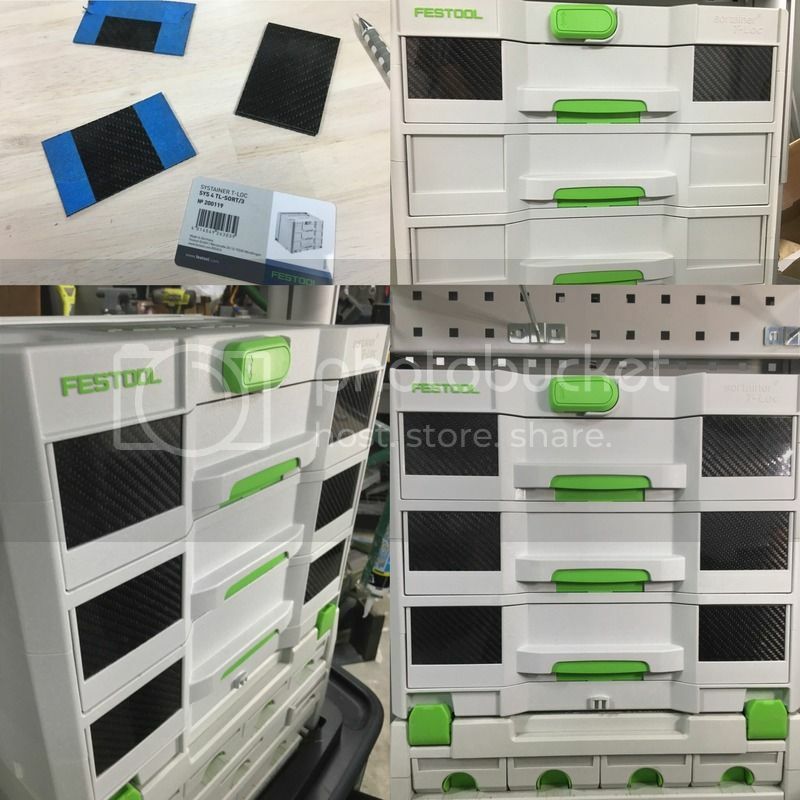 With all the shop tour videos and pictures floating around I found it quite surprising we don't have a toolbox(es) thread. 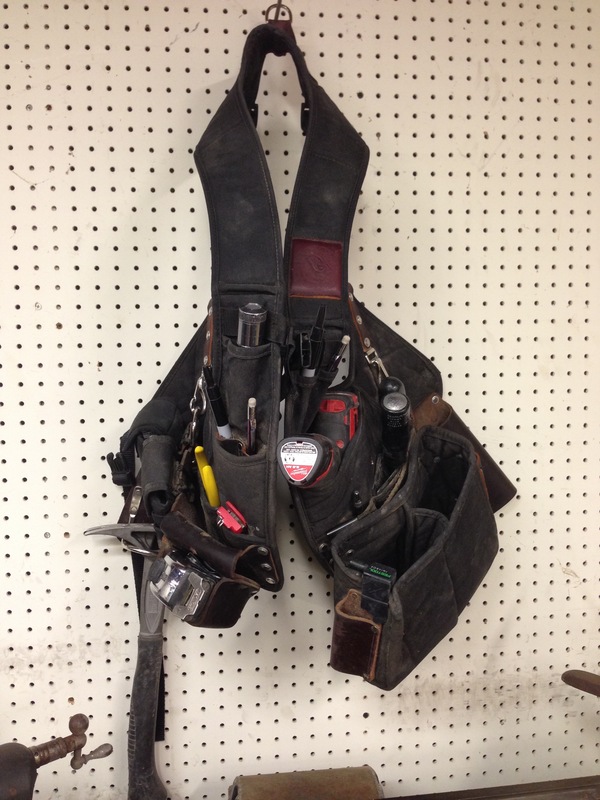 Please share you toolboxes, tool cabinets, tool walls ... whatever you use to store your tools. Stack of Systainers - and my tool "go bag". Stack of Systainers - another variant. 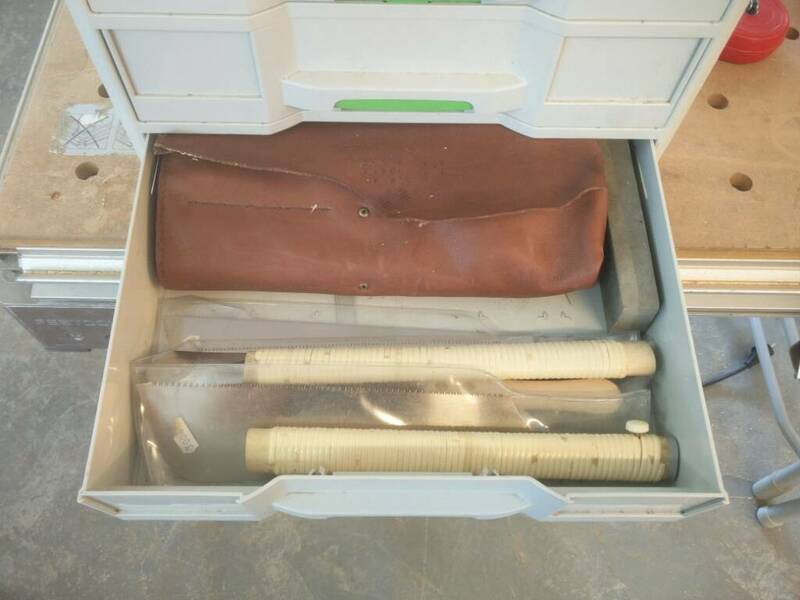 You would laugh at me if I posted pictures of the draws of my tool boxes. Messy and overfilled, but I know where everything is. Someday I will buy a couple more KRL's and better organize. Many of my automotive tools are in bins or worse cardboard boxes. Moved my OTC ball joint press today and had to re-tape the bottom of the box. Sheesh, I am so not cool. For now I can offer this awesome Snap-on bucket tool holder (Notice the nice handle padding) that fills up and empties routinely. It is always kinda dirty, but my hand tool bag is worse having been to a few too many junk yards and brought the grease back on it. Ewww... I have nothing shiny and new, as all my stuff is old, worn, and ugly. Thanks for sharing that awesome bucket, sadly stuff like that hardly makes overseas. As far as I know that never was a catalog item, but a promotion item, am I right? LOL, @Paul G Now, if your wife would happen to be an immigration lawyer, and you'd be ok with it - we could make a deal that would make everyone happy: You're not going to be toast, your wife will be enchanted about how organized your toolbox(es) is/are, I can make NYC my new place of permanent residence after a short vacation in NorCal... Sounds good? A toolbox is a toolbox, and if you're happy with it and it fits your needs thats all that matters. Spending and calculating efficiently is a good thing, no questions there. Ah .. this is something that I need to address - one day! I could easily fill 2 or 3 roller cabs with the stuff I've got, let alone the stuff I want. Problem is .. you need somewhere to roll them to, which is what I'm horribly lacking where I am today. 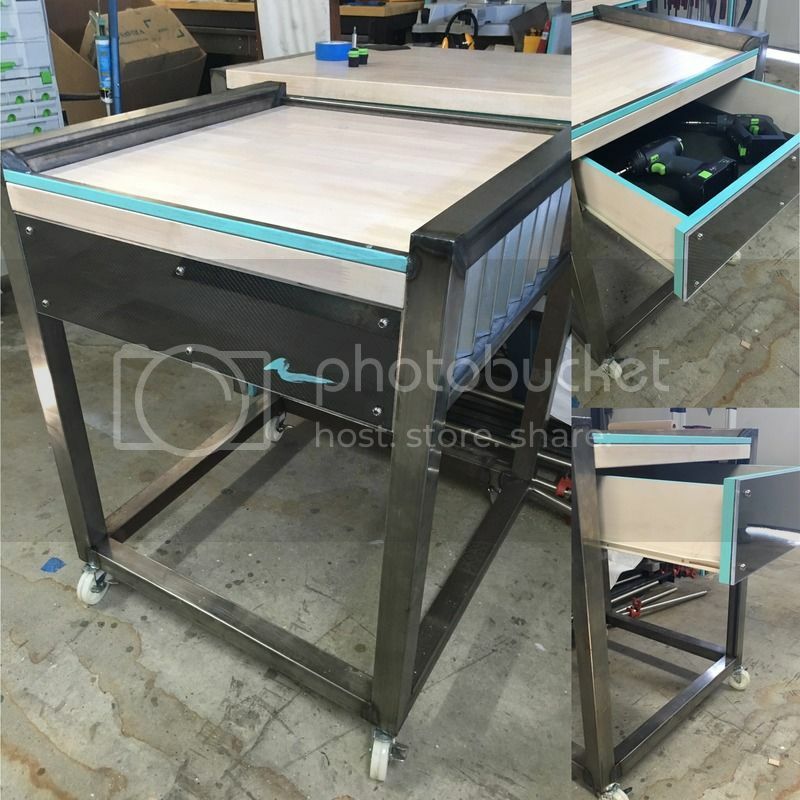 I just made this tool cart and it doubles as my work bench outfeed/support. i did the top below sea level lol cause i wanted to swipe and dump small bench top items over incase i need a flat surface to work on. i had scrap carbon fiber and some metal tubing left over from a project so i made this with about 30 bucks worth of extras. Where's the "ENVY" emoticon when you want it ?!?!? 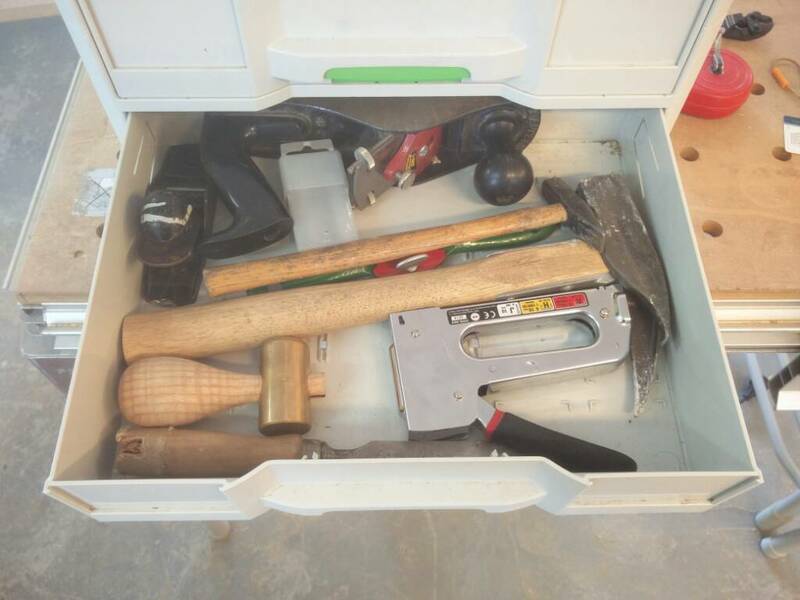 Here's my toolbox. My girlfriend and I get the keys to our new house on friday, and with it comes my first Workshop space. My systainers cant wait to get their own room! I gave this away to one of the members on here. One ugly cart, but with some paint... It still functions well enough. This is what it takes to allow two people to move a mid sized KRL toolbox. The larger tool boxes require a roll back tow truck or kneeling trailer. 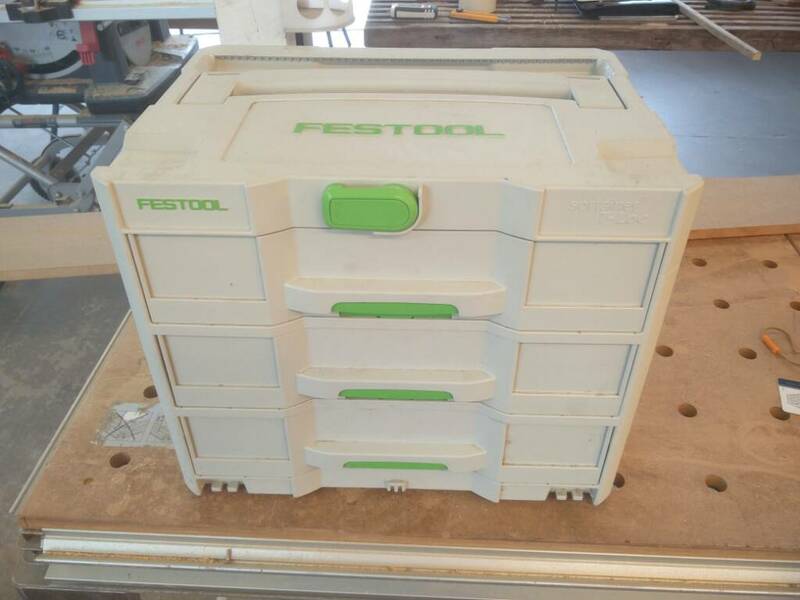 I put 1/4" plate on top and use this tool box as my work bench. Have rebuilt transmissions and transfer cases on top, and since all my fragile electronics etc are in another box, I have no problem beating bearing races etc on the top of it with a 32oz hammer. 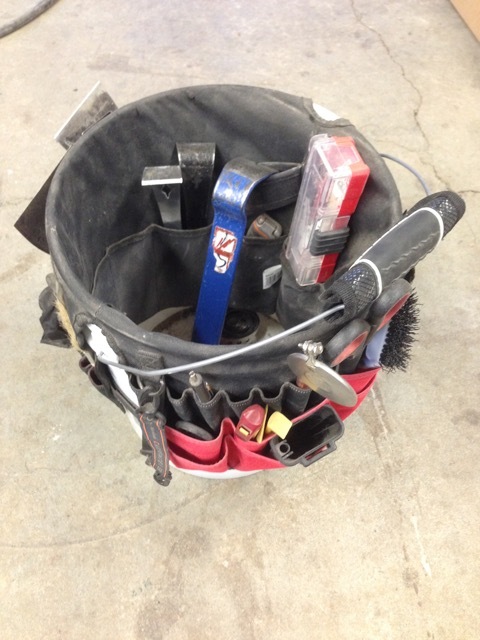 These days this is my most worn toolbox. Cool use of space! I was especially surprised by the bottom drawer, which has more in it than I would have thought possible. Did you make your own chisel role? This is how things end up every time. Works well for me. The tools that travel with me everyday. 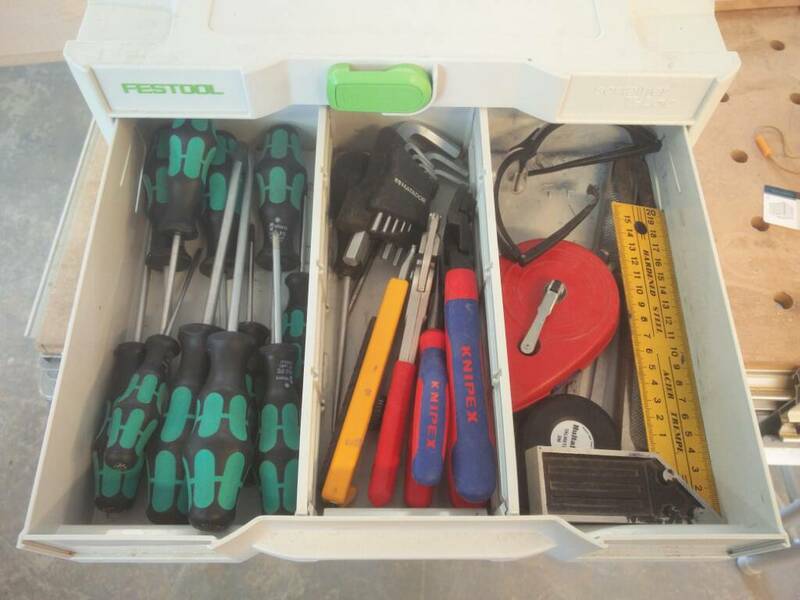 One of my tools box sets. Lower is from '73, the tops were replacements in the early '80's. Have to get these back on a wall, pullers and automotive AC service set. Have a socket/wrench/mechanics type setup for field travel. Thanks for sharing everyone, very cool pictures! @BadRobot You get extra credit because you shared something I have heard of, but never seen before. Very cool, thank you so much for sharing! Could you tell me a little about how the Tool Control System works? Just read it from the source. It will be more accurate than my explanation. Snap-on has a lot of industrial customers like the military, plus regular tool dealers that cover airports, and other scenarios where that setup is excellent for compliance. I could see it working in a quick lube type setting so tools don't walk off or get left under hood, but it may cost prohibitive. The tools are suppose to go back into the tool box? Glad to see others using SnapOn boxes for woodworking stuff. 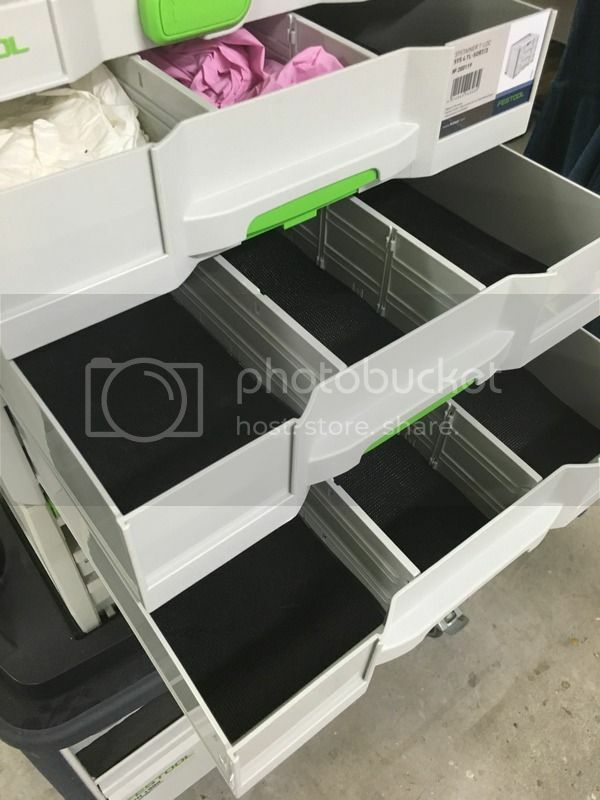 I much prefer using metal toolboxes- SnapOn, Gladiator and HarborFreight than wall mounted shelves- less clutter, less stuff for dust to attach itself to. My girlfriend made the tool roll for me. Still in the process of filling it up with good chisels - a Nice roll deserves Nice chisels right? I made a plywood insert for a SYS-4 so I can haul my install drills and charger with my minis full of ways to solve other people's problems. I have the SYS-1 with organizers on top for basic fasteners, hole saws, and drill bits. If I have to go on site, I just take the whole box in one hand and my toolbelt in the other. One of my classic Systainers. I think it depends on the job that you perform. I would requires airplane mechanics to use this system. I wish doctors in ER using this type of system so they did not forget surgery knife in patient bodies. LOL. Absolutely! LOL If I interpret the first picture of your SO Toolbox right, you work on Boings?